If you run any kind of business then you doubtlessly have lots of important documents which will need to be regularly updated in order for them not to become inaccurate. New orders come in all the time, stocks are changing, prices are changing and different customers have different needs. To keep up with all of this, you'll need to have lots of documents and, in today's age these documents are likely electronic. But with different people within the business having copies of the same files on different machines, won't that then just lead to lots of different versions of the file, each lacking vital information? Well, this problem can easily be avoided with Google Docs! 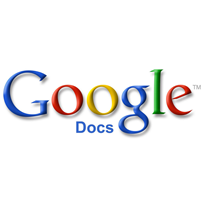 Google Docs is one of the many, many, many useful services which Google provides and what this one does is it allows you to upload a document (or other kind of file) onto your Google drive where multiple people can then edit documents at the same time. You don't need to worry about security either, because it is you who controls who can and who cannot view your files. But this can be especially handy for lots of reasons; if, for example, two people were working through a spreadsheet of telesales information, they could do so at the same time and avoid ever doing the same thing twice. I'm sure you can think of lots of ways that this Google Docs service might stand to be very helpful to you and, as it is entirely free to use, you've got nothing to lose by experimenting. So I hope that will prove to be a useful piece of information for you and your eCommerce business. It's small things like this that can save a few minutes here and there and which, ultimately, will help to streamline your business as much as possible. But if you don't have an eCommerce business yet, why not sign up to Sellr now and create one for no cost at all? You can use Sellr to turn your eCommerce dream into an eCommerce reality.